We are considered in the market to be one of the leading manufacturers, suppliers and traders of a quality range of Batch Printing Machine. 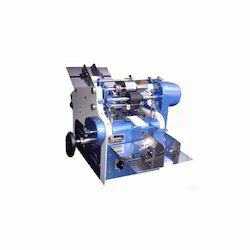 This highly praised range comprises of Manual Batch Printing Machines, Semi Automatic Motorized Machines and Label Batch Printing Machines/Seeds Bag Tag Printing Machine. Provided by us in the market at the best price possible its demand is quite high. Keeping pace with the variegated requirements of customers, we are involved in manufacturing and supplying finest quality Label Batch Printing Machine. The spare parts and components used in the manufacturing process are sourced from trusted and reliable vendors of the market. Clients can avail our range in various specifications at nominal prices. Speed: 125, 180 & 250 Label/min. Ours is an illustrious organization, which is engaged in manufacturing and supplying technologically advanced Batch Printing Machine. All these machines are manufactured employing advanced technology and hi-tech machinery. Our range is applauded for its sturdy construction and outstanding performance. 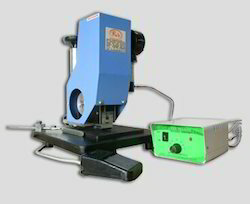 Power: 0.25 HP/ 1440 RPM / 414 V 3 Phase & single Phase. 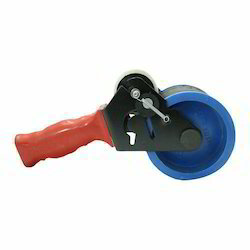 We are a renowned organization that is engaged in manufacturing and supplying high quality Manual Batch Printing Machine. The range offered by us is manufactured using high quality spare parts and components that are sourced from vendors of high repute. Further, we customize the offered range as per the specifications detailed by customers. 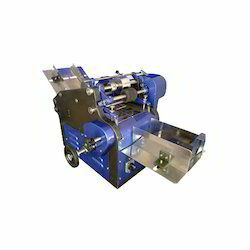 This is a semiautomatic batch printing machine/ mrp printing machine for pouch .It operates on electricity and speed of printing can be increased or decreased.It gives permanent printing on the pouch. Easily Changeable grooved/flat rubber/nylon stereos. Approx 15000 impression / 20 M.L Depend uopn printing matter. 230V AC±10%(50 Hz) Single Phase. Table top batch coding machine is the semi automatic batch coding machine. It operates on electricity. Printing speed ca be controlled. Prints Letters : Easily Changeable grooved/flat rubber/nylon stereos. Inking Medium : Refillable Ink Cartridge. Ink Consummation : Approx 15000 impression / 20 M.L Depend uopn printing matter. Power: 230V AC±10%(50 Hz) Single Phase. 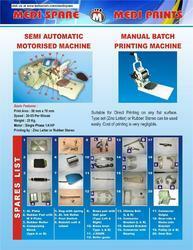 We are a preeminent organization that manufactures and supplies optimum grade Semi Automatic Batch Printing Machine. High quality spare parts and components are used in the manufacturing process. In addition to this, we customize the offered product-line as per the specifications detailed by customers. 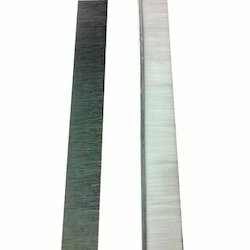 The strip brush is of fine quality and we are suppling to many reputed companies. Handheld Batch Coding Machine for marking of statutory/variable information on packaged goods such as BATCH NO., DATE OF MFG., EXPIRY DATE, LOT NO., PKD NO., M.R.P., etc. We are supplying our extensive range of secondary packaging, coding and marking products to various industries like Dairy, Biscuits, Spices, Bakery, Agro-foods, Various Food and Beverages industries, Bulk Packaging, Cosmetics, FMCG and scores of other industries. We offer Contact Coding Systems which is available in various models and these are electro-pneumatic coding machines which are used to code the variable information like batch no, manufacturing date and max. retail price, etc. on any flat surface. The PIC series coders are suitable for Semi - Automatic Coding. The codes are generally mounted on the platform and when the product put on the platform, coding is automatically done on any flat side of the product. It is operated at speed up to 100 impressions/minute.